Easter Sunday event will be held in Cathedral Square, as advertised, on 16 April, 2017, from 7 to 7.45am. 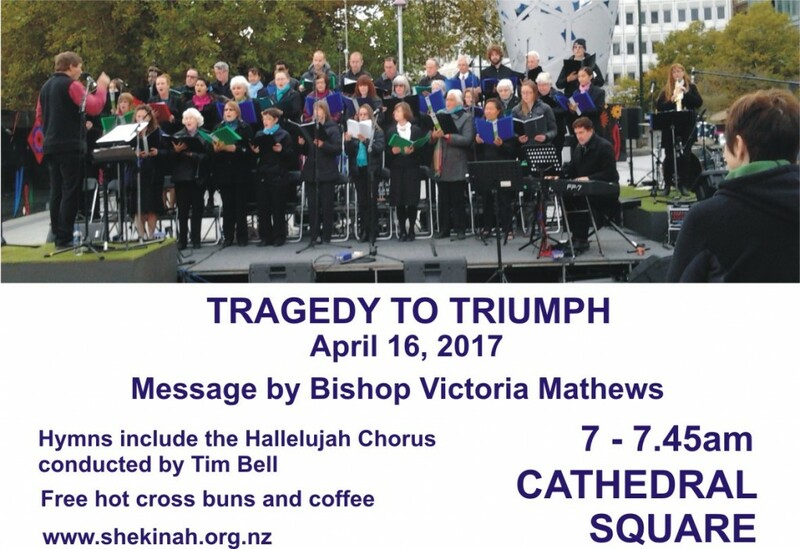 Bishop Victoria Matthews will bring the Easter message and a 30 member choir will sing hymns including the Hallelujah chorus conducted by Tim Bell. To join the choir, please visit http://barock.co.nz/hallelujah.html and fill out the online form.